-This sounds right up my alley with the mystery and suspense it promises. I'm intrigued that both characters don't know what happened. Sort of like a drunken hook-up gone wrong but more drastic and with much more sinister consequences :P. Also, yay! I love romance, and this thankfully does not present a love triangle. 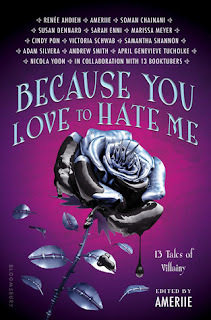 Plus, look at that pretty cover! YES! I almost featured this one this week, too. It really does have all the elements that I love in a good story. Excellent pick! I only noticed this unitl today, but it does look amazing! Added to my to-read list. OMG This looks sooo good. I love the cover too! A flawless blonde; quite intriguing. 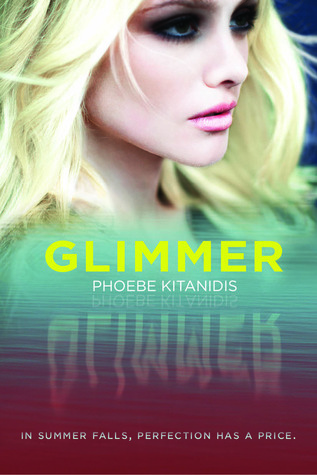 Thanks for sharing GLIMMER with us!!! I fangirled over this and a few more HarperTeen covers when I came across them a few days ago. I love Phoebe Kitanidis' writing! Great pick! I am intrigued that both MC have lost memories too and I am always highly curious when the word idyllic is used. Great pick! I hadn't heard of this one before. It sounds fantastic - no memory, oh the possibilities! Great pick, I'll be adding it to my TBR list! LMAO! I love your sum up of the book! It does sounds good a little bit of mystery and romance, just what I like! I haven't heard of this book yet but, OMG it sounds really good! I need to add it to my TBR pile like now :) New follower; awesome blog!